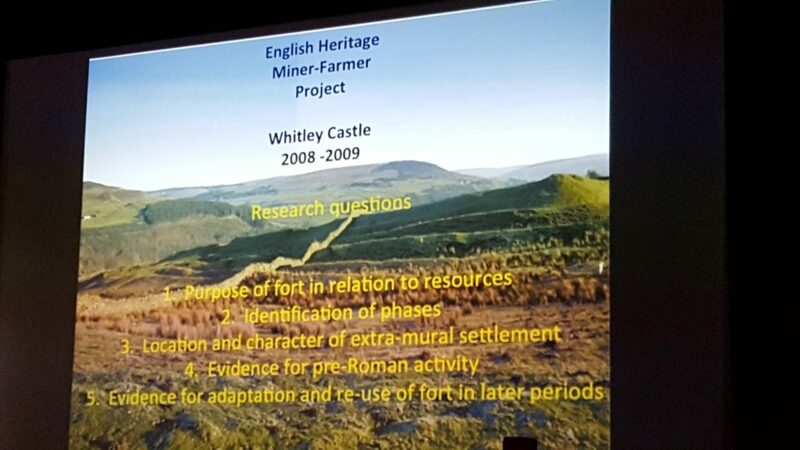 Over 100 people joined Professor Stewart Ainsworth and the Epiacum team to hear a host of learned talks about the history of the Whitley Castle landscape from prehistory to today. 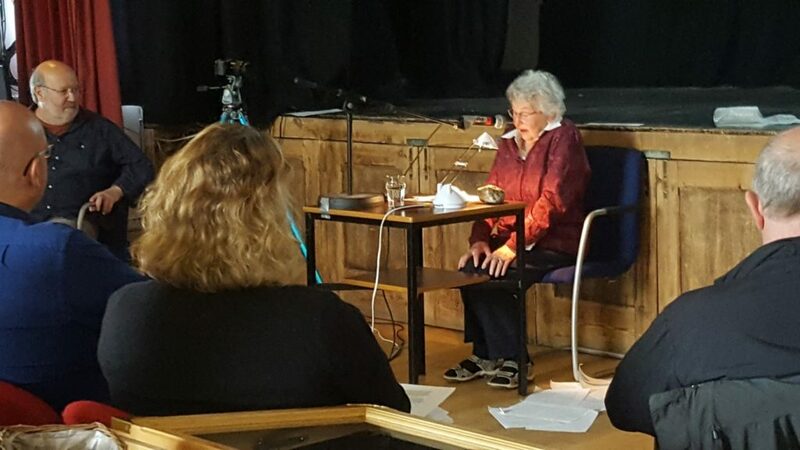 Jean Lunn started things off with her first hand account of taking part in the 1957 excavations of the granary and ramparts. She presented Epiacum with a 2.4kg piece of galena (lead ore) which was found at the time, and has since traveled to (and returned from) Australia! We are hoping to get Jean’s permission to reproduce her account, and to make it available on this website soon. 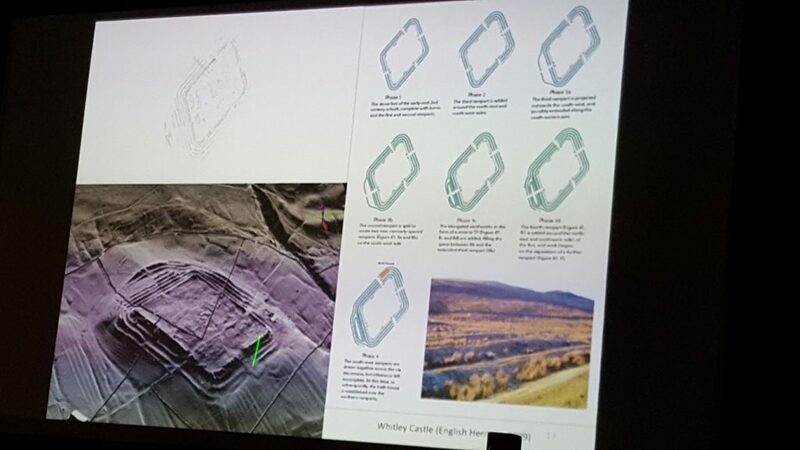 Next came the irrepressible Paul Frodsham, revisiting the heat of summer 2015 and the “important” finds from the Altogether Archaeology dig of the Kirkhaugh Cairn. This burial mound is on the opposite side of the valley to Epiacum, and predates it by 2,500 years. He told how the great-great-grandsons of the chap who found the embossed gold hair tress during the 1930s dig, astonishingly found its partner. Both gold adornments are soon to be displayed in the Great North Museum. 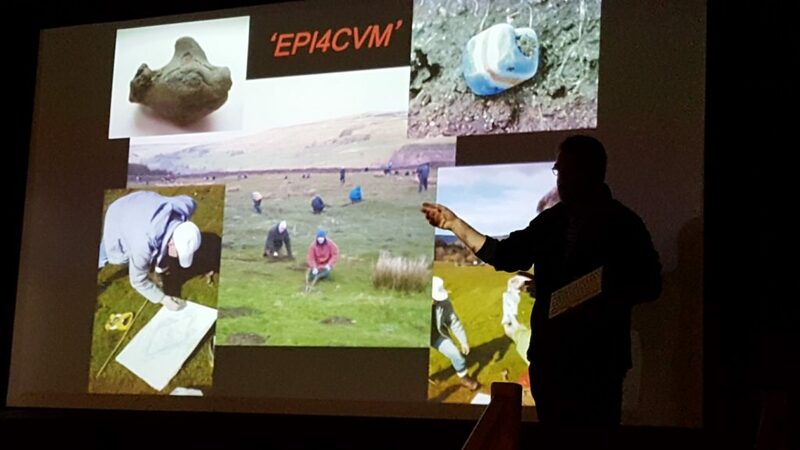 Professor Stewart Ainsworth, joined us from the University of Chester to guide us through the archaeological research he has undertaken so far at Epiacum. 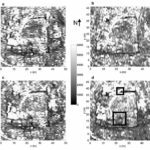 Covering geophysics, magnetometry, field walking and LIDAR (LIght Detecting And Ranging – essentially a laser aerial photograph), he shed light on what he suspects lies beneath the turf, and what the next steps are to see if he is correct! If you want to take part in these excavations or Stewart’s forthcoming masterclass weekend – join the Friends of Epiacum to be one of the first in line for the opportunities! 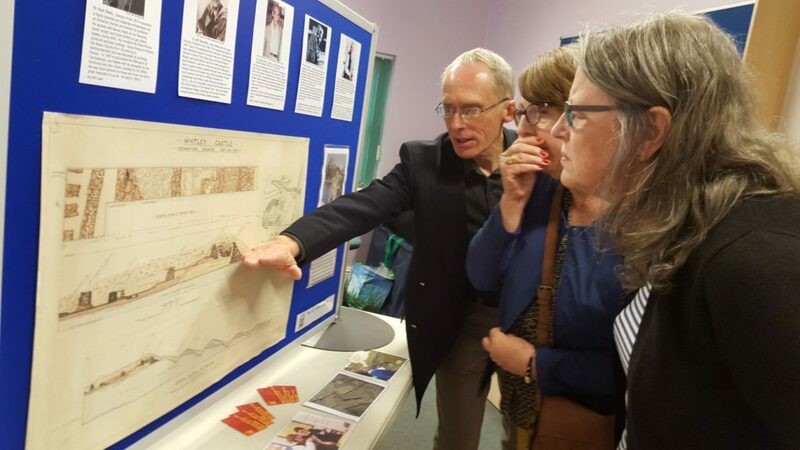 During the lunch break, delegates browsed displays showing the watercolour excavation plans of the 1957 excavations, and also a cabinet containing the best finds from more recent molehill surveys: glass and jet beads, pottery and iron, plus the bronze dolphin found at the site of the bath-house. After lunch, Alastair Robertson moved is on to the medieval landscape, and the summer shielings in the upper reaches of the farmstead. He raised a number of intriguing questions about how people lived on the site, and whether the 16-21 houses there could be the remains of a more permanent village. 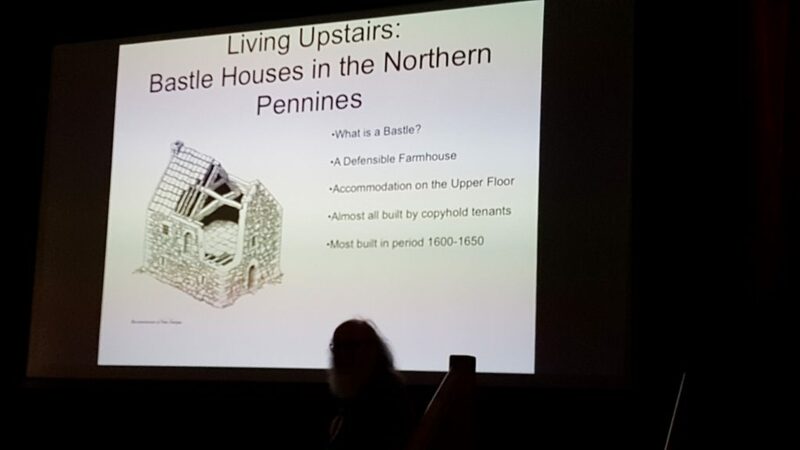 Peter Ryder FRS, compared the remaining bastle houses found on the farmstead – and showed how these defensible farm buildings had evolved over the years as the farmers’ needs and situations changed. 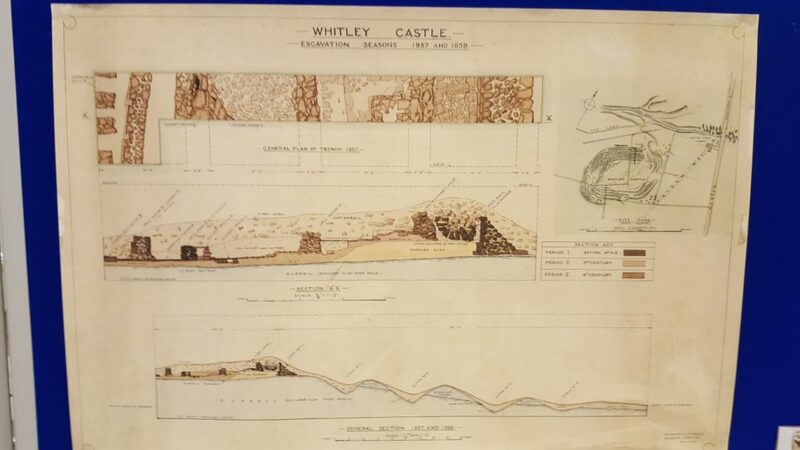 More information on the Whitlow and Whitley Castle bastles can be found in his paper on Whitlow 3, and on the Northumberland pages of the Gatehouse Gazeteer website. Finally Pete Jackson, from Nenthead Mines, explained how the mineral mining was the attraction for the settlements here. 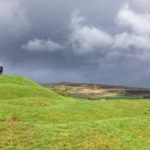 However it is incredibly difficult to identify ancient mines, as most sites have been revisited by later generations who have continued quarrying and so destroyed any evidence. 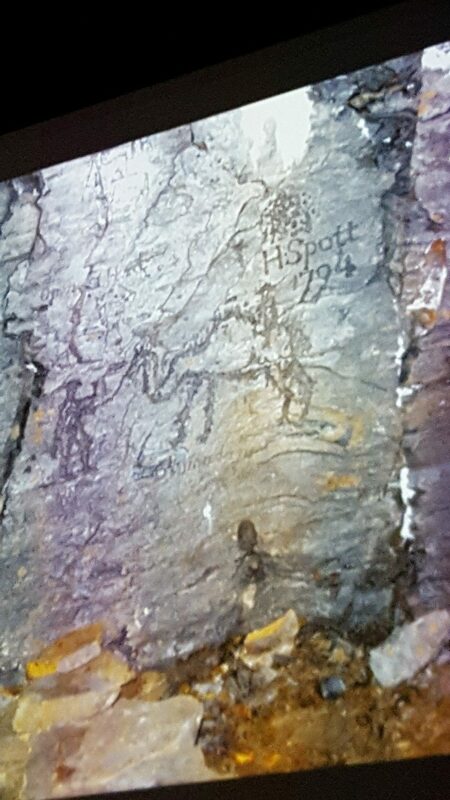 He demonstrated how educated the miners were by showing us graffiti of a “dromedary” dated 1794 – marked on the wall of one of the mine tunnels. After a short Q&A session, the event was rounded off by Elaine Edgar, Director of Epiacum Heritage and on whose farm Epiacum lies, whetting the audience’s appetites for the summer season of events, including field excavations and a landscape masterclass with Prof Ainsworth. She also announced our new Heritage Lottery Fund success – the Epiacum POP (Planning Our Partnerships) project. « In the Journal again!